A different approach, but one that really makes you think about what you're doing and where you're going with your photography. Have you been taking photographs for some time and are you keen to improve? Do you find you read all the books and magazines that you can but nothing is new? Do you feel that you have reached a plateau and that you can’t seem to get to the next level? Perhaps you regularly take photographs but feel frustrated by your slow pace of progress? Be honest with yourself, do you feel a little lost, not knowing what to do next to improve your work? If you can relate to these questions, perhaps this book and its alternative approach holds the key to your future development. Most photographers focus their efforts on developing new skills. They hope they will discover some secret or cutting edge technique that will give them success. Ultimately this approach won't help as there are two other dimensions to photography that are holding them back. 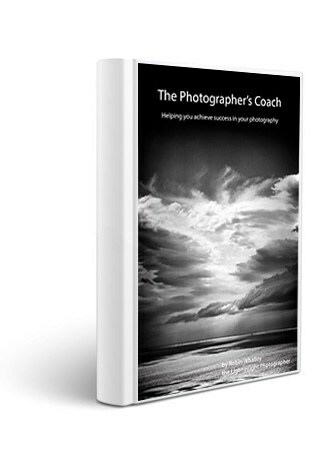 This book explores the three dimensions of successful photography and helps you produce your own custom coaching plan; a plan that can help you to improve the quality and consistency of your work. The Photographer's Coach is very different from most of the photography books you will have read to date. It doesn’t give advice about what focal length, aperture and shutter speed to use. It doesn’t instruct you in how to approach different genres of photography, such as Portrait or Landscape. It won’t help explain how to use the latest software package. What it does is provide ey- opening advice about how to improve your photography and overcome the factors that are limiting you. In short, this book provides a framework for successful photography and advice that can move you beyond your current level of skill if applied.